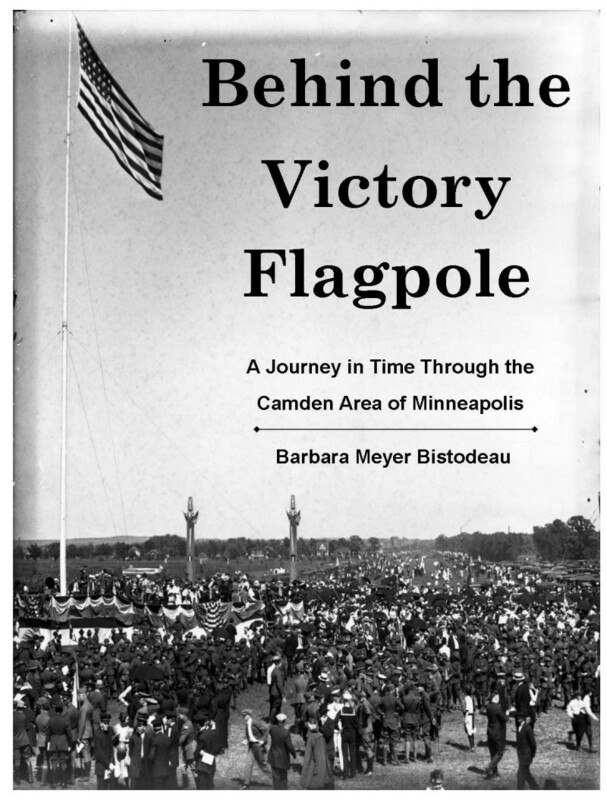 Behind the Victory Flagpole – A journey in time through the Camden area of Minneapolis is a heartwarming book of stories written and shared through the eyes of Barbara Meyer Bistodeau and guest writers, that were printed in the Camden Community News over the past nine years. With great photos and stories, this is the perfect book for you if you’ve lived here in Camden all your life or just moved in! This limited edition, one-of-a-kind book is the ideal gift for anyone who loves history or wants to know about the community we live in. It’s only $24.99 (plus tax and postage) and Bistodeau has granted that any proceeds go to the nonprofit Camden News. There are several ways to get the book. Order the book at camdenews.org and click on the Paypal button. • Pick up the book at Carl Kroening Interpretive Center in Mississippi Regional Park, 4900 Mississippi Court. Hours: Monday-Saturday, 9 a.m.-5 p.m.; Sunday, noon-5 p.m. 763-694-7693. Mail a check for $30.42 ($24.99 +1.94 tax + 3.94 shipping) to Camden News-Flagpole book, 3526 Humboldt Ave. N, Minneapolis, MN 55412. Or save on postage and pick up the book from the Camden News at 3526 Humboldt – contact 612-521-8650 or ccn@tds.net first to make sure someone is available. If you’ve already read the book – tell us what you think! We’d love to publish your comments — send to ccn@tds.net.